Peter Jones’ healthcare innovation research develops the opportunities for connecting content and learning resources to professional practice and clinical education. He has led service design and field research for leading decision and educational services and interactive products for physicians, nurses, and medical students. He is author of Rosenfeld Media’s Design for Care: Innovating Healthcare Experience. He wrote Design for Care to help designers deliver systemically relevant solutions to the emerging problems of multidisciplinary healthcare services and the complexity of care: http://designforcare.com. 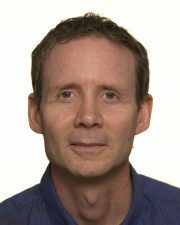 Peter is also associate professor at Toronto’s OCAD University, where he is a senior fellow of the Strategic Innovation Lab and teaches in the Strategic Foresight and Innovation MDes program. Peter previously published We Tried to Warn You (Nimble Books, 2008) and Team Design (McGraw-Hill, revised in 2002). He has authored recent peer-reviewed research articles and whitepapers, available online at his blog Design Dialogues.